Introducing the newest addition to our beautiful collection of Antique French Style Furniture, this lovely White Antique French Style Side Table will give your interior an instant upgrade. 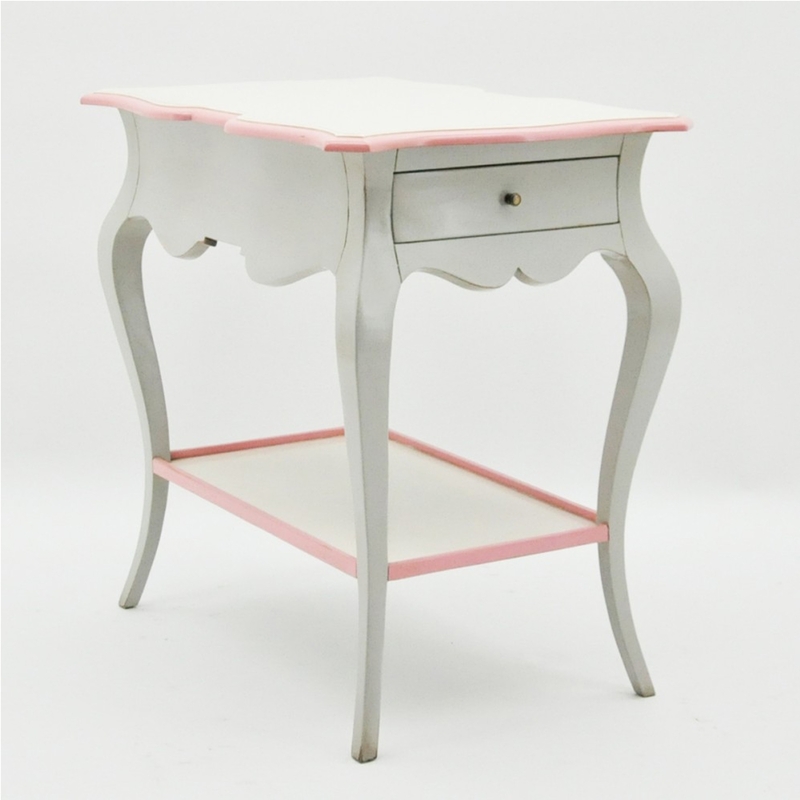 Complete in a white colour with a pink trim this side table is made from solid Mahogany. Made to the highest quality this side table is a must have addition in any home.